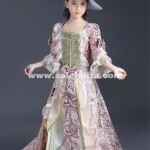 Are you looking for Kids Marie Antoinette Dress in Reenactment and Theater Victorian and Edwardian Costumes . 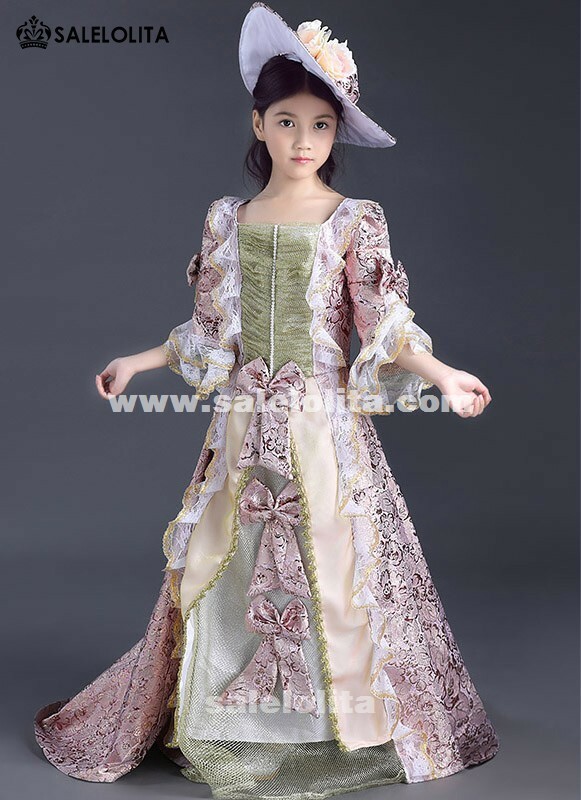 Now Salelolita.com Latest design five different colors of dresses for Children and Adult . 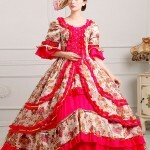 These dress used high quality Floral patterned brocade fabric and Lace , so it’s very soft and smooth . 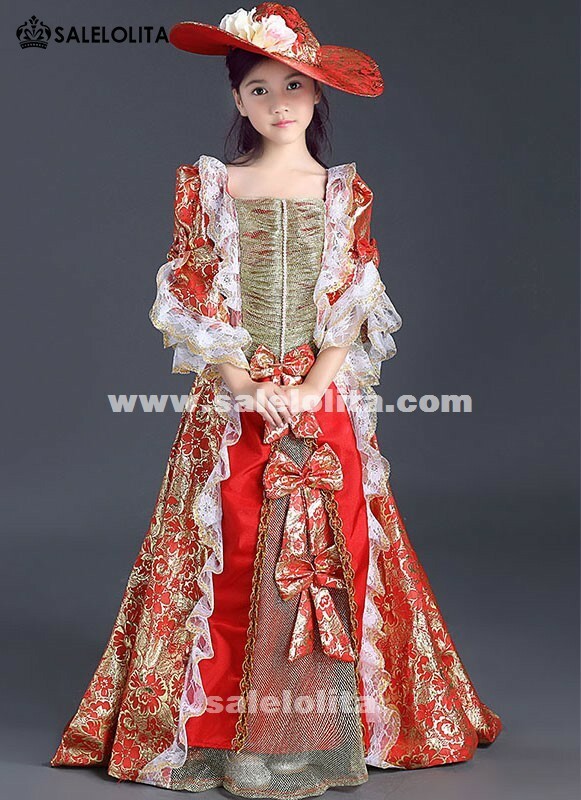 It has wide long puffed sleeves and has bows in front of dress . 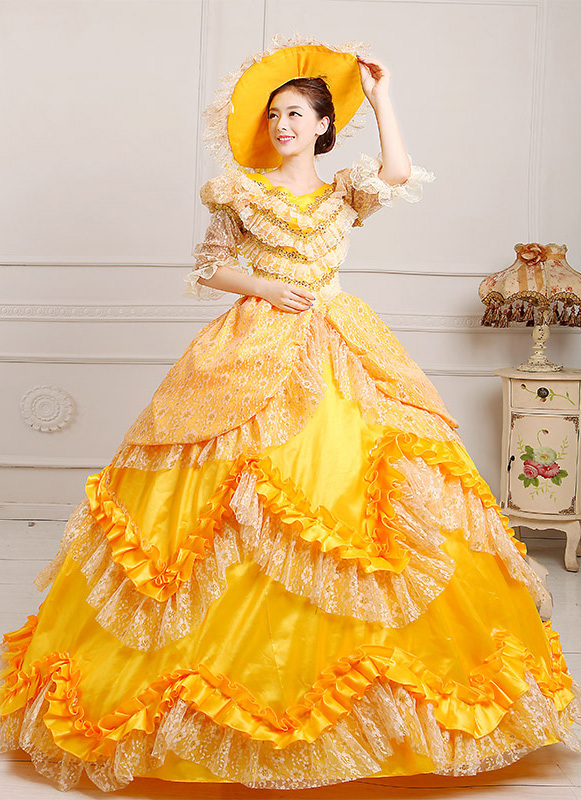 It looks very gorgeous and cute . 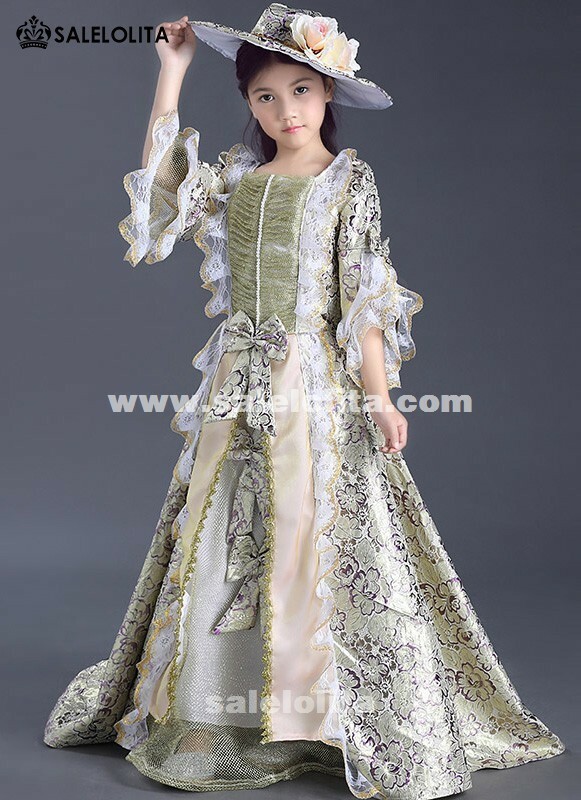 This dress also can custom-made for Adult , you should click “custom size ” button and fill in your measurements . 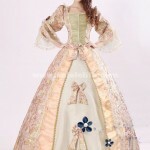 So let’s see the photos . 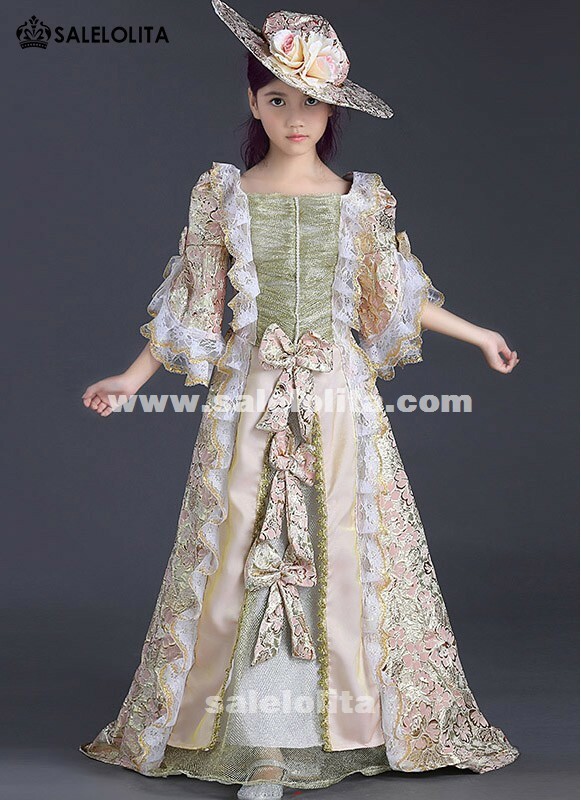 More Style Please refer to official website www.salelolita.com ! 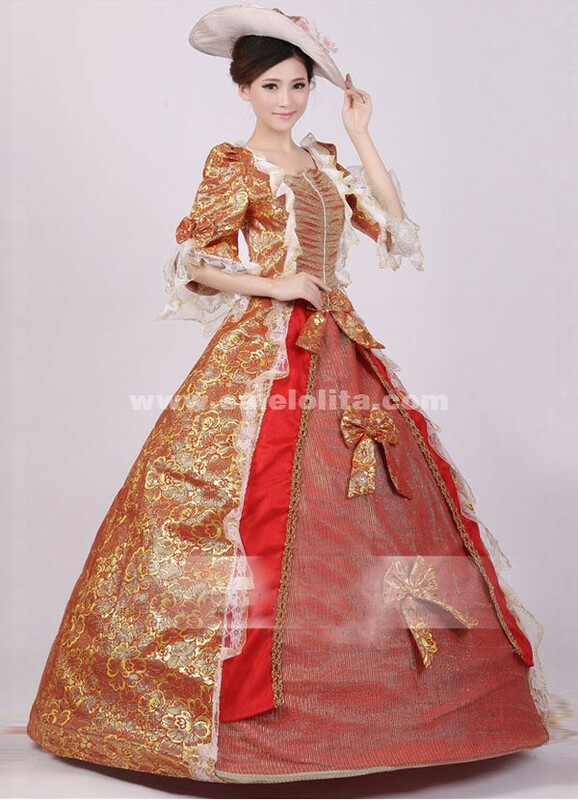 Salelolita is a professional historical costumes shop. 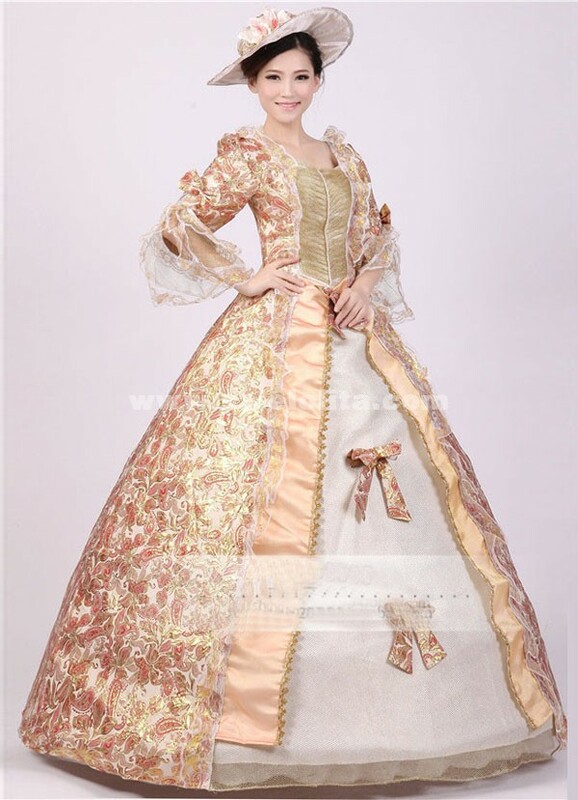 Our website provide Marie Antoinette Dresses, Renaissance Medieval Dresses,Victorian Dresses and other Celebrate Party Dresses at unbeatable prices for your party show and other activeities. 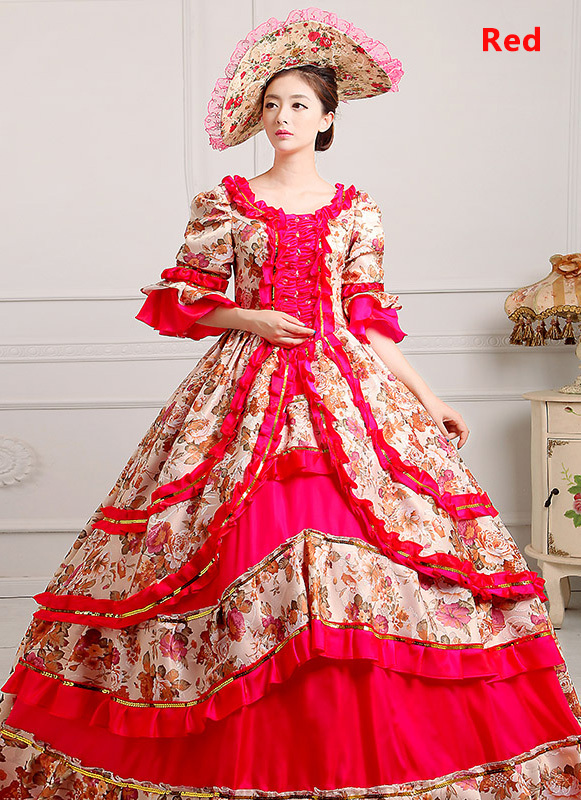 Now we designed a lot of different marie antoinette party dress for you choice , which one do you like best ? 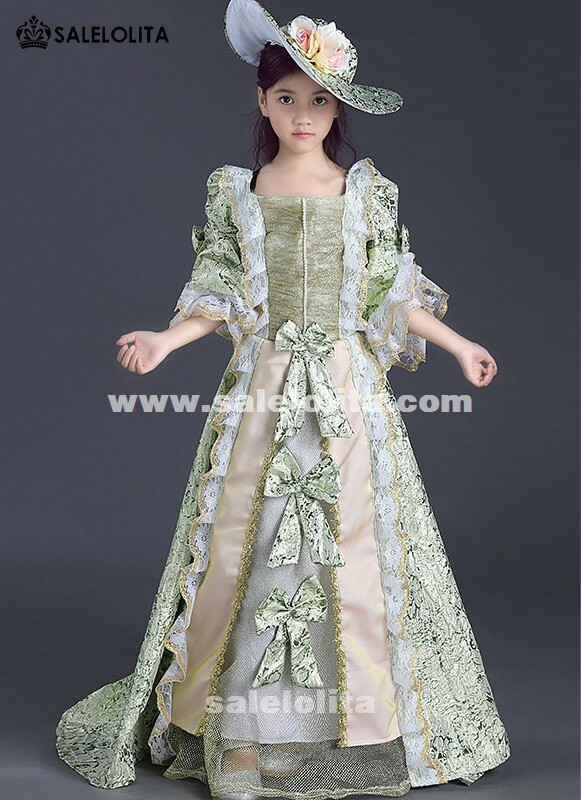 In recently , Salelolita designed a lot of different 18th century marie antoinette party dress , These dresses are made of thick satins and decorate with lace . 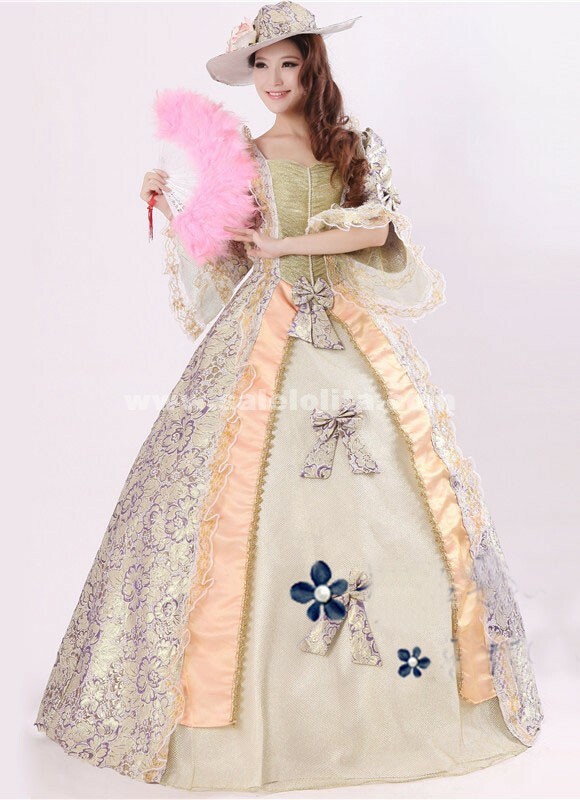 I think you will be like that , follow we will show some example for you . 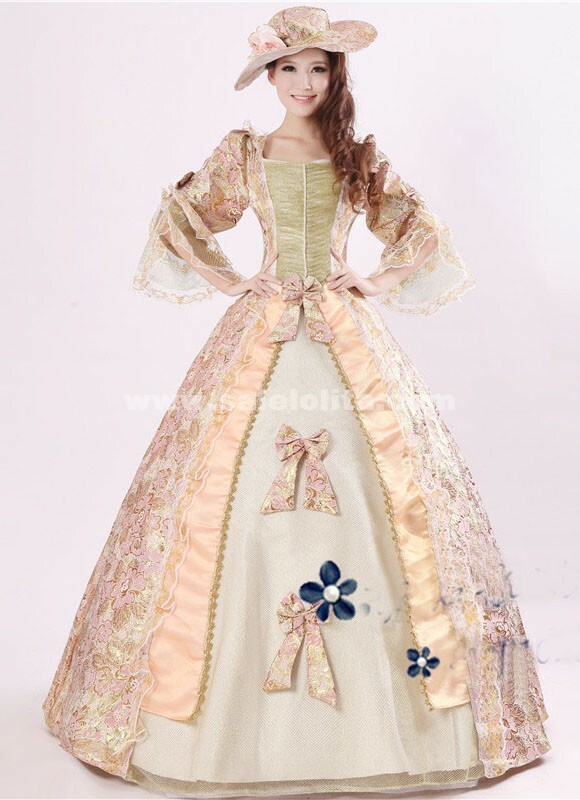 Salelolita latest designs Noble Print Royal Palace Marie Antoinette Civil War Medieval Renaissance Victorian Ball Gown Costume For Women,The Victorian Southern Belle Formal Dress have five colors to choose,such rose red printed, green printed, red & gold printed, purple printed, pink printed. 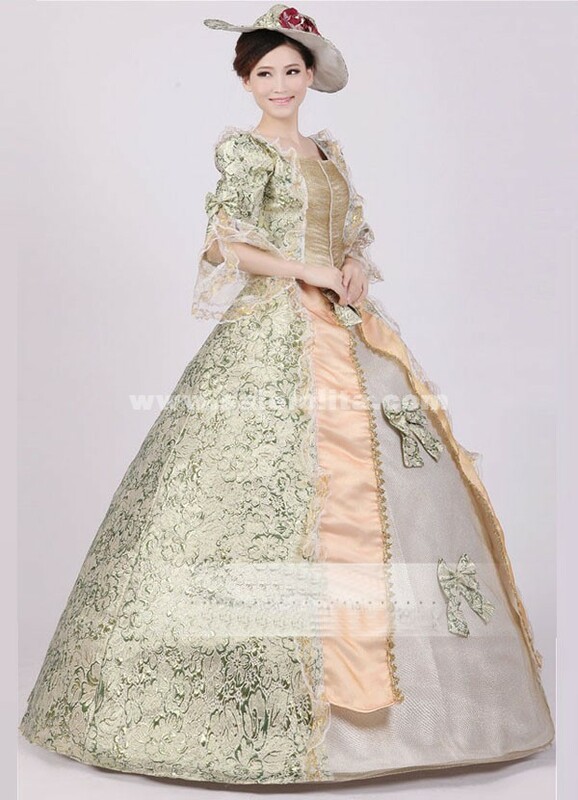 Put on the Queen Ball Gown, will let you become more beautiful, more noble, more elegant and more charming! 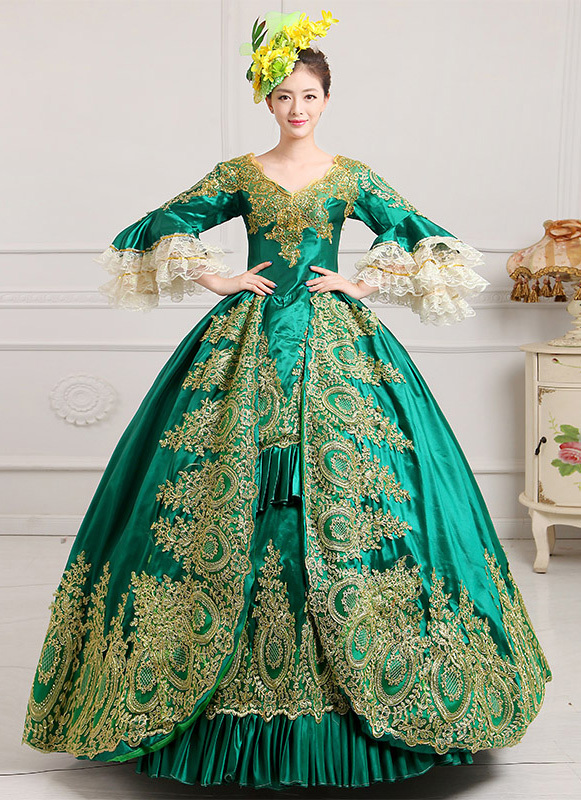 This Ball Gown Costumes is each lady worth having ! 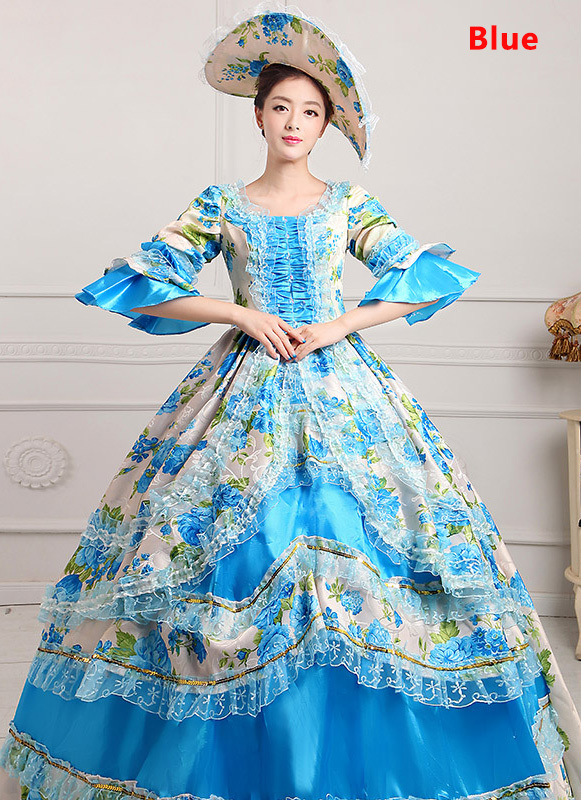 Put on the dress will let you become the focus of the most eye-catching. 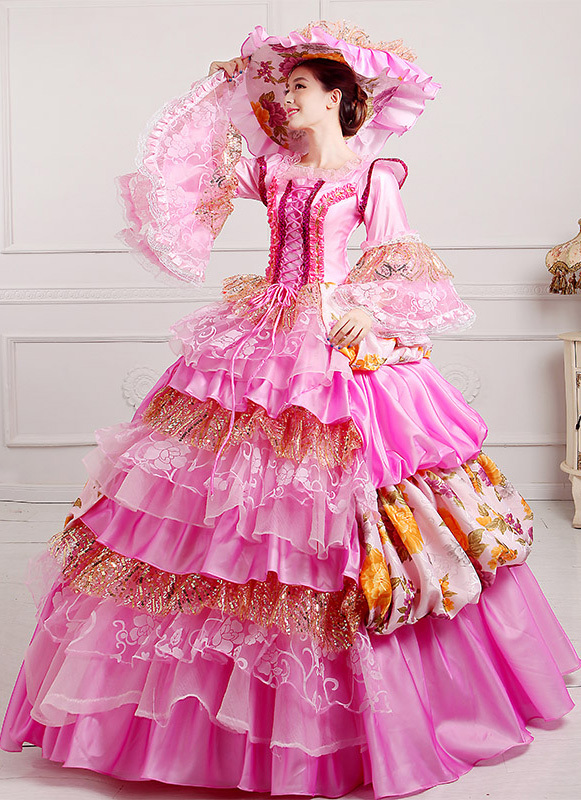 Our Victorian Ball Gown Costumes can be tailored for you. Come on !